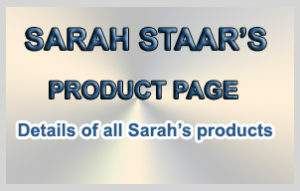 Sarah Staar IM Newsletter – How fast can i drive? Online video is probably one of the easiest ways to get traffic to your website or just simply to get your message out there. When I first started making serious money with affiliate marketing one of my favourite free traffic techniques was with YouTube video marketing. I would make a really simple video talking about the product. Do some simple back linking to the video to get it ranked in Google. I made literally tens of thousands of dollars promoting ClickBank products back in 2009 – 2010 using video. This worked so well because back then YouTube was growing massively and Google was ranking YouTube videos with very little effort from my part. The interesting thing is, right now the same thing is happening with Facebook and video. You may have noticed recently that an awful lot of video is suddenly appearing on your Facebook timeline. A lot of them even auto play. Facebook recently announced that the growth in video views exceeded 50% from May through July of this year, and since June there has been an average of more than 1 billion video views on Facebook every day!!! What this means is Facebook is taking on YouTube big time, and they are giving priority to Facebook posts that include video. 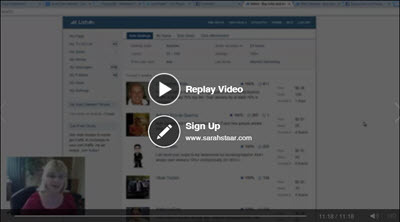 But the big news this week is that you can now put a call to action link that is clickable at the end of your video. As soon as your video has stopped playing a call to action button pops up with a link to your website, pretty cool. Create a Facebook page if you don’t have one already. Create a new post and upload a video, not a YouTube video. Once you’ve selected your video you will see a Add a Call to Action link. There is a drop-down menu where you can select a button and a space where you can entering your website address. That’s basically it when the video finishes playing the screen changes and your button appears with a link to your web-site. This is something I’m going to be experimenting with a lot over the next few weeks. I think there is a lot of scope for making some serious money using video on Facebook. Open Track Day – How fast can i drive? A week or so ago I was hammering round Brands Hatch on an open track day (for those of you in the US, Brands Hatch is a smallish racing circuit just south of London currently used for motorbike and saloon car races, very twisty and not an oval !). The process the organisers used got me thinking. The first part of the day was taken up with a driver briefing about how to drive the track and what to do if……. The second part of the day was 3 laps of the circuit going round behind a car driven by an instructor, the idea being to learn the proper lines to take and the braking points. The third part of the day was basically zipping around the track with all the other cars, learning the track and the limits of the car and basically just having fun !! One of the highlights for me was having a chat with one of the instructors and listening to them tell me some of the tricks and tips for how to get round the track really quick. And that advice really worked. There are so many things in life where learning from others, being taught how to do things, like driving a car or flying a plane, are absolutely essential. And especially if you really want to succeed and do so quickly. So how come so many internet marketers are happy to buy products.. but not buy the coaching to learn how to use them properly ?? Isnt that the equivalent of buying a car, but not learning how to drive it properly…? Which then led me to think about creating my own accelerated results programme, given that so many of you have emailed me recently asking about 1 on 1 dedicated coaching. So look out for a special email from me later this week about my coaching programme. A few months ago Dave and I went to our local IMAX cinema and watched an amazing film called Gravity. Now until I watched Gravity I wasn’t really a big fan of 3-D, but I must say the 3-D experience whilst watching this film was incredible. If you haven’t seen Gravity it’s well worth watching. It’s a seat of your pants action packed film that has some absolutely out of this world special effects. Yesterday Dave and I watched Gravity again at home on 3-D Blu-ray. Now I really wasn’t expecting it to be very good on the 55 inch television. I was totally wrong it’s still amazing film to watch even on the small screen. Did you know that 95% of people who live in the United Kingdom shop online and it all started on the 11th August 1994. That was the date of the first ever secure online transaction. The product which was purchased was a CD album by Sting, “Ten Summoner’s Tales” for $12.48 plus shipping. Wow how things have moved on since then. I was trying remember my first online sale as an affiliate. I don’t honestly remember what the product was I know it was in February 2008. I know this because I was tidying up my office the other day I actually found a photo copy of my first ever ClickBank check. I remember being so proud of the fact that I’d made a couple of thousand dollars online that I photocopied the cheque before I cashed it in at the bank. I guess I knew this was the beginning of something big…..
Back in 2008 when I made my first affiliate commission traffic was one of the biggest problems I faced. You probably been there yourself, built a website and then wondered why you get no traffic. Getting traffic to a WordPress website is not really that hard but only if you have things configured correctly. To be honest going through the hassle of configuring every post and page on your website can be incredibly time-consuming. This is probably why very few people go to the effort of optimising every page. Last week I was very lucky to stumble across a brand-new WordPress plug-in which completely automates the tagging of posts and pages on your blog. I’ve been using this plug-in only a few days now and I have noticed a significant increase in the traffic to my blog. Which means real BUYER traffic for your site! It takes just moments to get up and running, there’s no guess work, and you’ll be getting extra ‘white hat’ content pages in Google automatically, and bumping up the link juice of all your existing pages, boosting their rank at the same time. One of the reasons I love this plug-in is because there is very little work involved. All you have to do is upload this plug-in to your WordPress site, activated it and that’s pretty much it you can leave everything on default settings. I can definitely recommend Traffic Tagger as a plug-in that will definitely get your WordPress website more traffic.